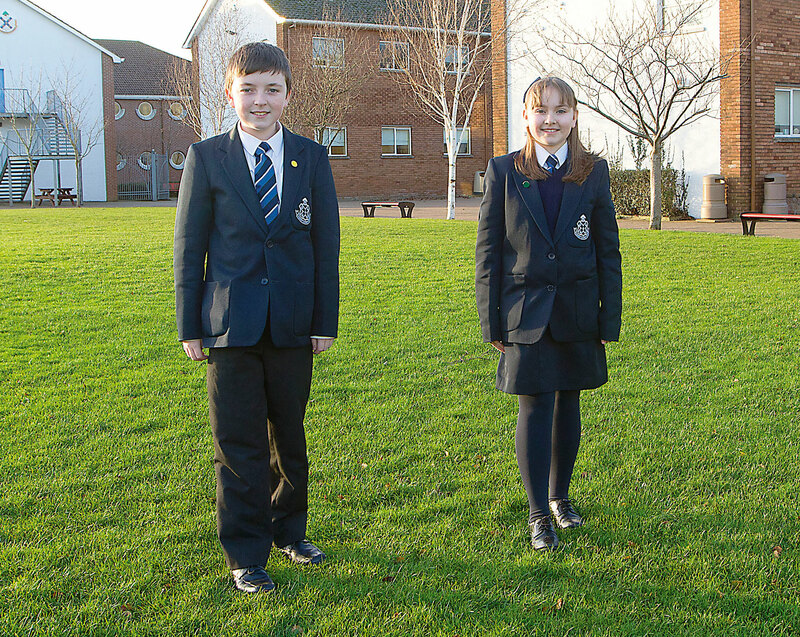 School uniform regulations will be strictly enforced and parents are asked to co-operate fully with the school in this matter. Outdoor coats if worn must be plain navy blue or black with a plain dark lining. Raincoat, overcoat, anorak or duffel coat, not bomber jacket, corduroy, waxed coat, denim or material stitched to resemble denim. The only fleece that is permissible is the school fleece. Hoodies may not be worn as part of school uniform. Shoes must be plain black with flat heels – not suede, nubuck (or similar) nor patent. Soles should be smooth or only slightly ridged. Training shoes and boots are not permitted, nor are Vans, Converse or similar styles. Laces must be the same colour as the shoes. 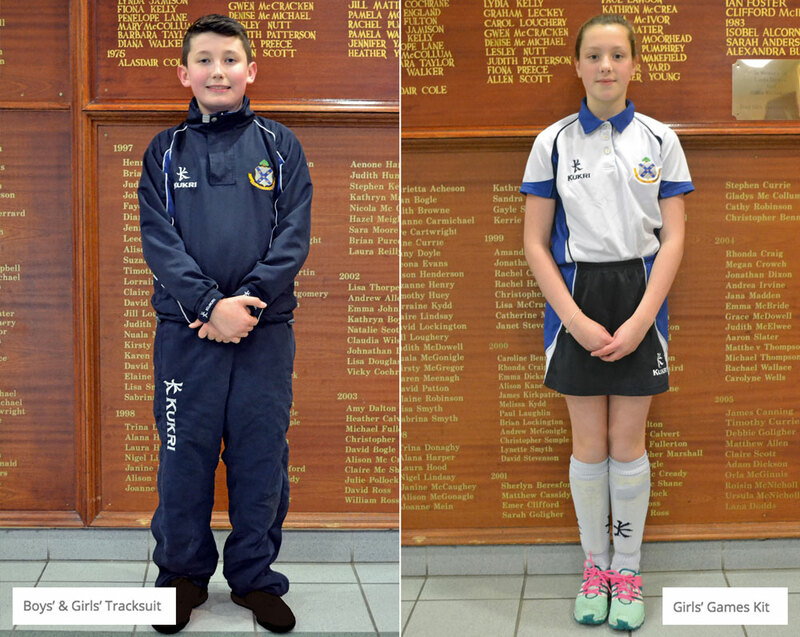 Details of the PE/Games uniform are provided to all new pupils. All items of uniform and bags must be clearly marked with the owner’s name. Navy blue – not black – school blazer with crest. White school blouse (buttoned to neck), tucked into skirt waistband and school tie. Navy blue V-necked pullover or cardigan (no motifs except the school crest) may be worn under the blazer. Navy blue knee socks worn to the knee or navy blue heavy-weight tights. Lapel badges must be confined to school badges, Duke of Edinburgh’s Award and major Youth Organisations, eg Girls’ Brigade or Guides and a maximum of one charity badge. Make-up in any form, including nail varnish, is not permitted. Hair must be clean and tidy, and in a style and of a natural colour acceptable to the school, eg not dyed, streaked or shaven. Any hair accessories must be discreet/plain and in school colours. Only basic jewellery, ie watch and one plain ring may be worn. Small, flat or stud ear rings (not hoops) may be worn if ears have been pierced and limited to one per ear, and in the lobe. White shirt and school tie. Shirts should be plain and formal, no badges or leisure shirt features. Navy V-necked pullover (no motifs except the school crest) may be worn under the blazer. Dark grey or black socks – not light grey, white or coloured. Lapel badges must be confined to school badges, Duke of Edinburgh’s Award and major Youth Organisations, eg Boys’ Brigade or Scouts and a maximum of one charity badge. Hair must be clean and tidy, neither too long nor too short, and in a style and of a natural colour acceptable to the school, eg not dyed, streaked or shaven, even at the sides. Boys must be clean shaven ie no beards, moustaches or sideburns. Only basic jewellery, ie watch and one plain ring may be worn and belts must be simple in design. All compression clothing (‘skins’) or under armour garments must be in school colours. * For outdoor wear/Hockey it is advised that Astroturf trainers should be worn. No black rubber-soled shoes may be worn in the Sports Hall. To avoid damage to the floor it is hoped that footwear used in the Sports Hall will not be worn outdoors. All pupils are advised that they should wear their gumshield during Hockey and Rugby training/matches. NB No football shirts or shorts are permitted.